As Flavio turns another year older, we want to take a look back to a fantastic year full of music, never ending nights and unforgettable moments shared with the right people. For this occasion, we are happy to welcome some very talented and passionated artists. Cezar: The co-founder of the label «Understand» is a mystic on his own. Both with his sets and his productions he established a connection between old and contemporary elements and mixes them with rominimal-typical rhythms. 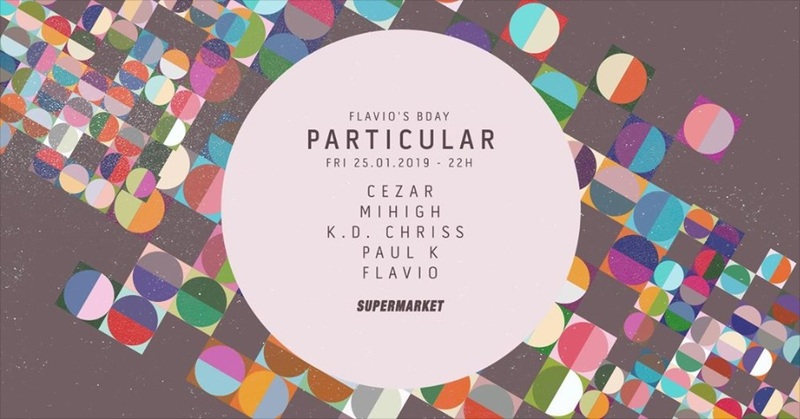 He has had a big influence on the growth of bucharest’s underground scene and established himself as a key figure in music even beyond the borders of Romania. Mihigh: Dark, trippy, unbelievably deep describes Mihighs music the best. The romanian artist has a straight line and he’s not afraid to show this: Mihigh doesn‘t play music based on the situation. Much more he creates a perfect situation with his music. His sets will leave you speechless and you will have more questions than answers after listening to his productions. Paul K: The Club Midi resident looks back on a music collection of over 13 years. His music is shaped by his collection: Eclectic with a dark twist and high energy. Club Midi co-owner & resident K.D. Chris & host Flavio himself make this line-up complete. Connoisseurs and minimal lovers definitely should mark this date in their calendar.